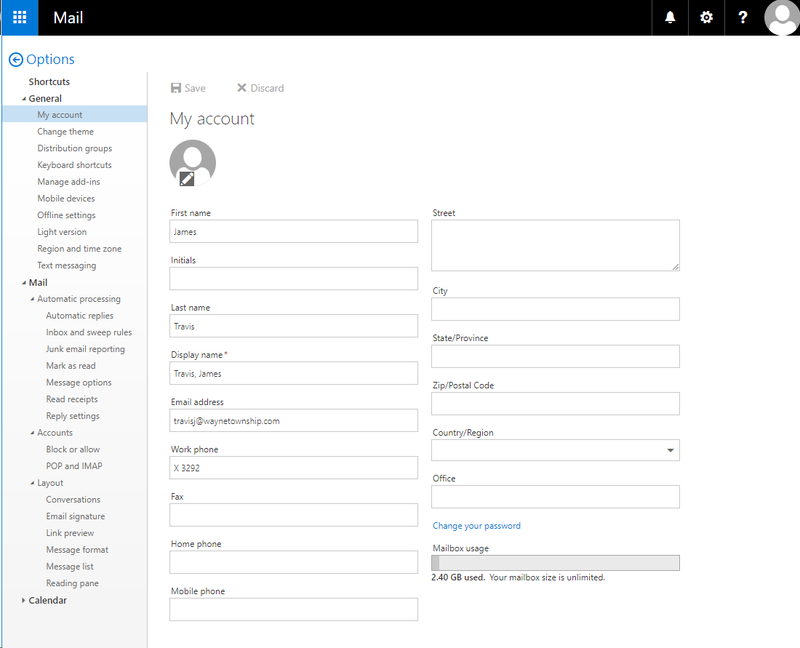 Log into Outlook Web access using your current username and password. A link can be found on the Employee Access page on the township website or https://mail.waynetownship.com. Click on the gear icon in the upper right and select Options. Then on the left under choose “General / My Account” then on the lower right there is a “Change your password” link. Click on “Change your password” and follow the Change Password instructions.